The iCASH Launch in Red Deer, Alberta is a Huge Success! The central Alberta region is packed with populous cities, from Calgary to Edmonton, with Red Deer smack dab in the middle. Throughout the entire area, iCASH has been hard at work to establish itself as the leading short-term direct lender. No matter if you need to pay for car repairs, replace an appliance, cover unexpected expenses, or just need some help with cash flow, ICASH offers a full range of personal short-term lending solutions to fit the needs of citizens of Red Deer. Let’s face it, we all know financial matters can be a source of great stress, and emergencies or unexpected expenses can wreak havoc on your bank account balance. iCASH is here to help, with a secure, reliable, easy-to-use online application and lending process that can remove your stress and worry in no time. At iCASH, we believe our customer’s security and privacy are extremely important. That’s why we’ve implemented some of the most robust security technology available. That includes 256-bit encryption technology, the same kind of security that major banks, financial institutions, militaries, and intelligence agencies use when they want to keep their communications secure. You can rest assured that all of your personal and financial information will be kept safe and secure, from the application process onward. You can apply any time, entirely online, 24 hours a day 7 days a week. And, if you need help, have questions, or otherwise want to speak to a human being, we have those too! You can call one of our Customer Experience Advisors 7 days a week, between 7 am and 4 pm local time in Red Deer. Alberta residents considering a short-term loan should know that iCASH maintains a strict Code of Conduct for ethical, fair, and transparent lending. We’re committed to being as open and transparent as possible with regards to fees, terms, and conditions associated with our loans. This means that, sometimes, we have to decline approval for clients, where we genuinely believe they would be unable to pay back the loan. Our ultimate goal is to help people improve their financial situation, which sometimes means saying no when we think it would make their situation worse. This commitment to honesty and integrity is one of the reasons why Red Deer residents from Heritage Ranch to Parkvale to Timber Ridge to Westlake, and Clearview Meadows to Aspen Ridge to Devonshire to Downtown have turned to iCASH for their short-term lending needs. 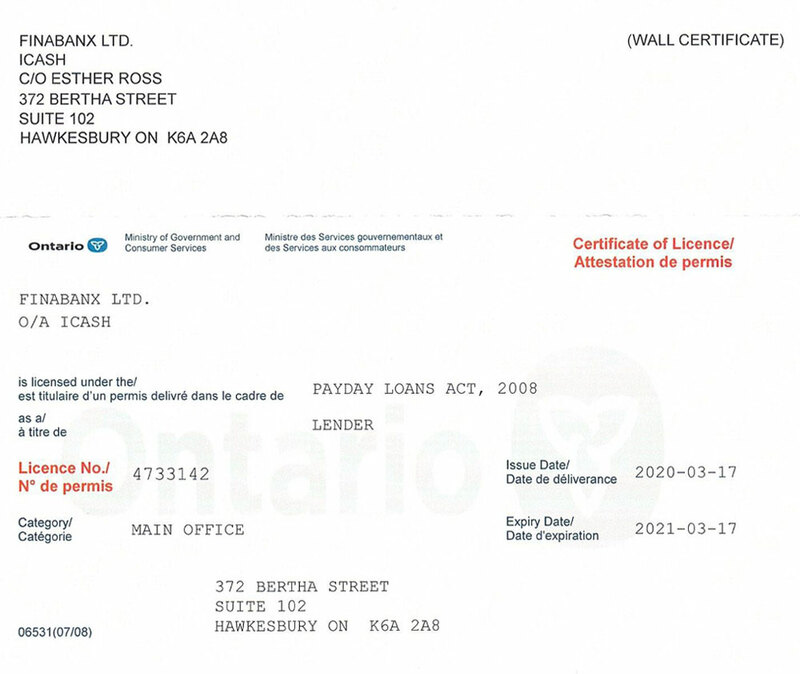 One aspect of iCASH that sets us apart from our competitors in Red Deer, and Alberta as a whole, is that we are a fully-licensed direct lender. 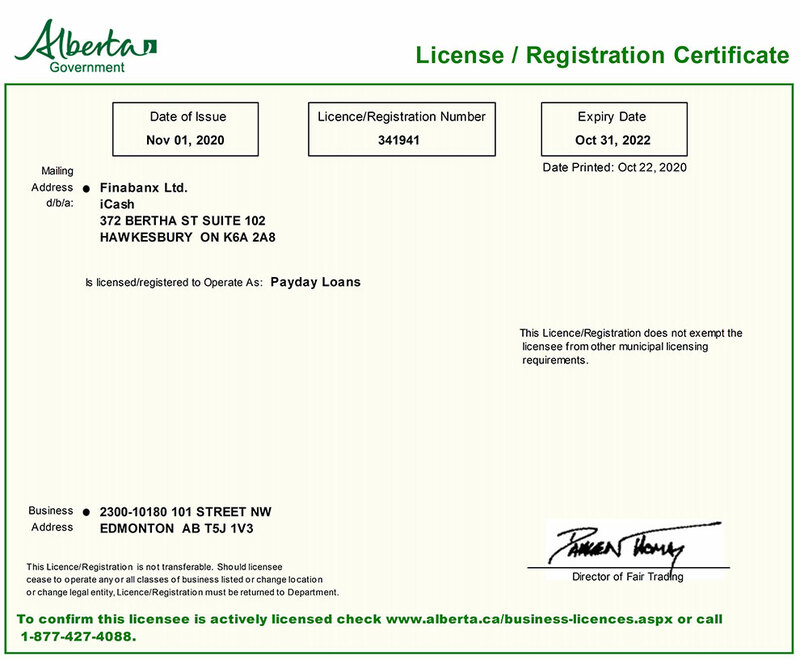 What this means is that we are approved as a direct lender by both the Alberta provincial government, and by federal Canadian authorities. As a consequence, our customers enjoy the financial protections afforded by both provincial and federal law – something most of our competitors can’t say. 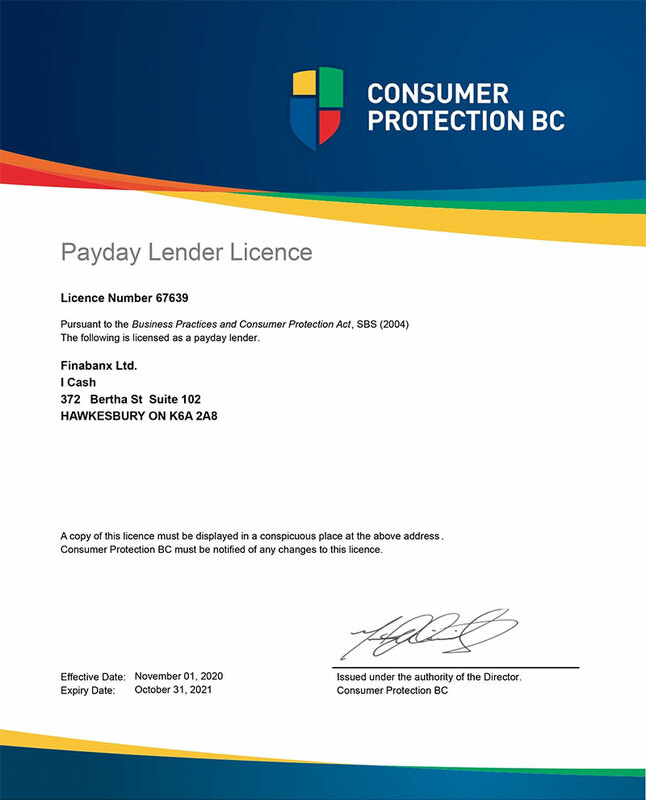 We’re a trusted, short-term and payday lending provider, committed to the safety, security, and service of our customers. We’ll never share or sell your personal information – it’s purely used for our lending purposes. And in most cases, we’re able to provide approved lending customers with their funds the same day as they apply. in Calgary, Edmonton, Medicine Hat, Wood Buffalo, Lethbridge, Airdrie, Fort McMurray, St. Albert. The iCASH lending process is easy, starting with an application that is fully online. Just select your loan amount, repayment plan, and fill out some basic personal information, and you’re on your way. We use state-of-the-art, automated decision tools to review your application, look over your credit score and other data, and provide a loan approval decision in just minutes. Once approved, you can sign your contract online, too, and then your work is done. Now, just sit back and relax, and the funds will be transferred directly into your bank account. This process can be as quick as 5 minutes or less, but happens within the same day in most cases. Funds can be sent 24/7, so don’t delay – apply today! While your credit score is absolutely considered as part of the loan approval process, it is not the only criteria that iCASH uses. We believe that the most important thing is your ability to repay the loan, and that a credit score hardly ever tells the whole story. So, our automated software looks at a number of factors, including your credit score, in order to make a decision. This means that, unlike some lenders that base their whole decision on credit score, there’s a good chance that you can get a loan from iCASH, even with bad credit. Sometimes, we do have to say no, however, as our Code of Conduct mandates that we don’t lend money to you if we don’t honestly believe you can pay it back – we don’t want to make your financial situation worse! The convenience of an all-online process can’t be overstated. While the weather in Red Deer is pretty good compared to many areas further north, it still doesn’t mean that people want to go out making trips to a branch office in the middle of winter. And with iCASH, you don’t have to – there’s no mailing, faxing, or in-person signing, and no need to go cash a paper check. Everything is done online, from the application to receiving your funds. This means you can handle everything from the comfort of your own home or office – that’s our commitment to convenience for our Red Deer, Alberta, and all Canadian customers. Part of our Code of Conduct that we believe in very strongly is a commitment to transparency and fair lending practices. This means we don’t believe in surprise or hidden fees. As part of the lending process, all of our fees, rates, and so forth are clearly presented. Our loan terms and conditions are written in plain English for our customers to understand fully. We believe this is part of being a responsible, transparent, and fair lender. And it’s a reason why Red Deer residents are turning to iCASH more and more for their short-term and payday lending needs. And if anything remains unclear during the application process, you can call our customer service team 7 days a week, and they’ll help clarify things for you! 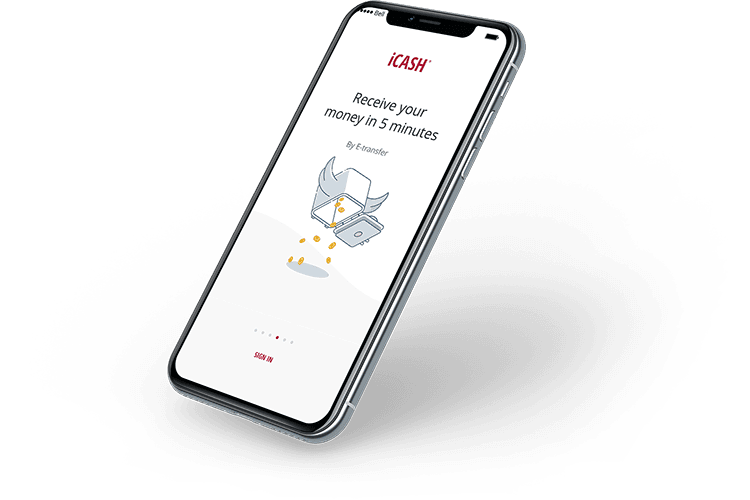 Most iCASH customers are approved for their loans in just a few minutes, and receive their funds the same day. Of course, no lender can guarantee approvals, or how fast those approvals are granted. In some cases, approvals can take longer. Our goal is to provide a decision as fast as possible, however, while respecting fairness and thoroughness – we don’t want to deny your application unnecessarily! Most Red Deer residents who have used iCASH services, however, do get a decision in just minutes, and receive their funds the same day. Most people worry about their personal and financial information security online. This is no surprise, as it seems there are stories about data breaches and hacks all the time. That’s one of the reasons iCASH has put in place industry best practices for data security, including top-tier data encryption technology. We want our customers to rest assured that their financial data will be kept fully secure and private. Whether you live in Red Deer or the surrounding area, anywhere else on the Calgary-Edmonton corridor, or anywhere else in Alberta, or the other provinces we serve in Canada, iCASH is your trusted short-term and payday loan provider. With a simple, easy-to-use, 100% online process, you can receive emergency and short-term cash loans to help make your life easier.